The competition between iOS and Android, including the iPhone, Nexus or any other smartphone with Google's operating system, has always been very clear and users are often in a dilemma (or even confrontation) to elucidate the best cell phone and the best platform. At this time, Apple has introduced a specific app that allows you to move all the data present on an Android device to an iPhone directly without the user worrying about anything. In response to this, Google has also been pleased to offer its users the process of switching from an iPhone to an Android phone through a similar process and, above all, to simplify data movements. So we are talking about a new feature in Google Drive, which will back up all data from iPhone to transfer to an Android smartphone. The user can save in the cloud any information included in the Apple phone, be it photos or videos, with the camera in motion, as well as documents, contacts and many other files. Through the application, Google Drive will back up everything you have on the iPhone, then open the same application on the new Android phone. In a few moves, therefore, each user can afford to use a new Android smartphone with all the data that existed just before on the iPhone. A very simple and fast method that, in addition, does not need to download specific software or make special methods to keep all data with the change. 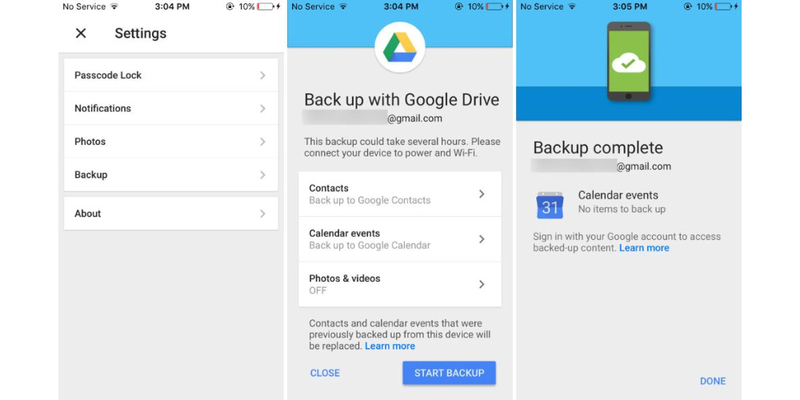 Unlike Apple's software, Google Drive includes all storage services, although the operation, especially if the media files that are archived are many, can take several hours, during which the iPhone has to stay with the screen of security. Another option is to use USB cables for this last step, especially for those who want to transfer their music collection, since they have no other choice: the songs on the iPhone are not considered part of the application, and the procedure for transferring Android requires a backup of iTunes and installation of Google Play Music Manager on a computer that will act as an intermediary.